In choose the design or style of the pool in your home, the first thing to consider is the shape that best suits the location. So we can say that the size and shape of the pool is a very important factor. 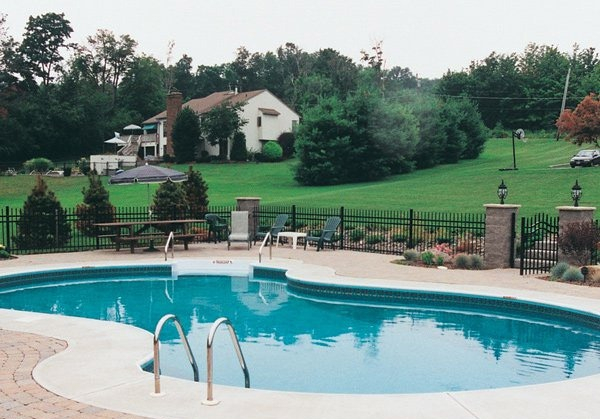 Choose the best pool that will accommodate the whole family. You can certainly feel the fresh air even on a hot afternoon as you sit in the open space beside the pool. Pretty much a place to rest around the pool, so you can swim with your big family. The green trees surrounding this pond is one of the reasons why the whole family will enjoy the atmosphere in this pond for a long time. Very shady and fun. During the dry season, it is the perfect time to relax and rest in this pool. There is a small circular pool if you just want to soak with the people closest to you. This is one of the best pools where you can feel the warmth of nature around and hear the sound of water gurgling down to the pool. In the morning you will be very beautiful with this swimming pool. 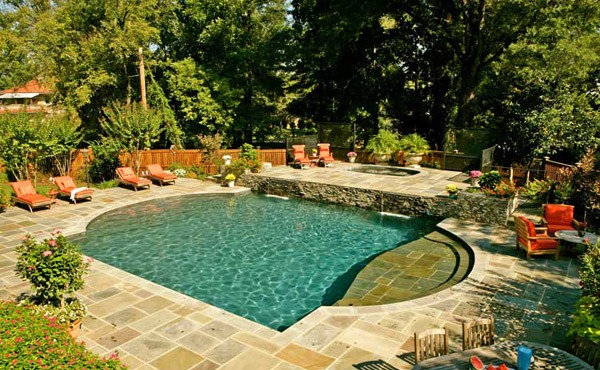 Grecian pool design that can accommodate many family members because of its size and shape. The design of this pool still maintains a natural atmosphere with the green plants and grass. You will feel the water can flow freely without barriers because this pool has no angle. You can swim freely. 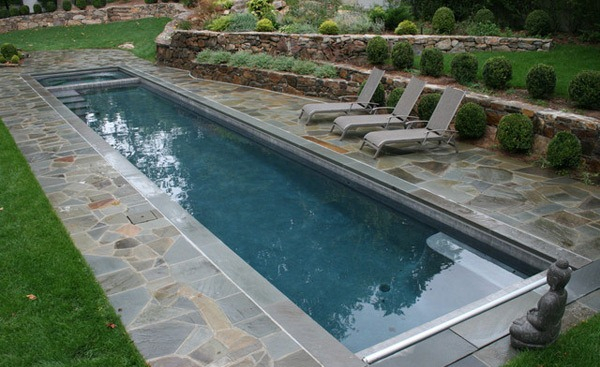 If you have limited space, a rectangular pool is the best option for you. 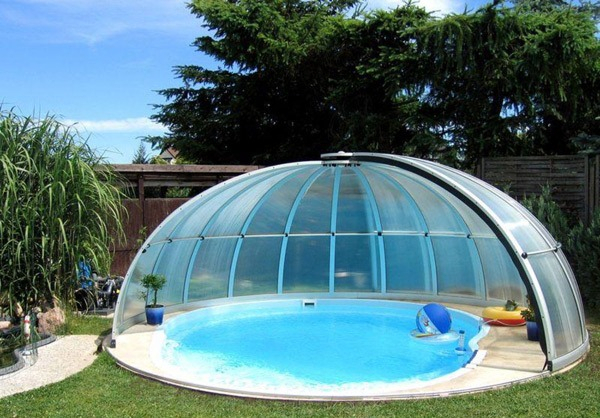 This unique shaped cover in the pool will help to keep the water clean inside. 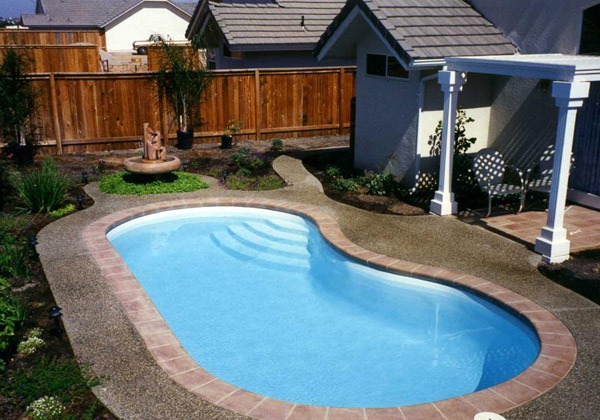 Swimming pool with oval shape is not limited space as it is curve and line. 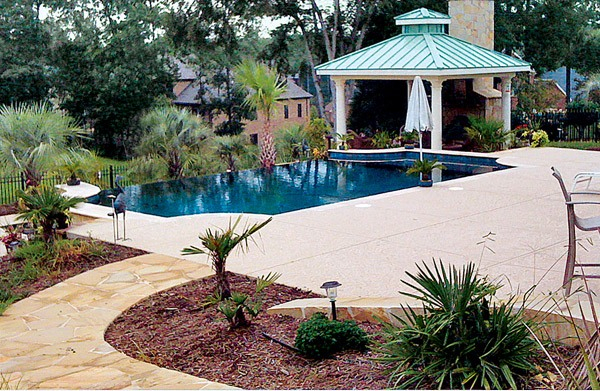 Waterfall in this pool with natural rock design adds a special attraction for guests who come to your home.